How do Earthquake Early Warning systems work? Why not just use on-site seismometers instead of a networked system? How does the West Coast earthquake monitoring system support ShakeAlert? How much alert time will there be? How realistic is a government-run EEW system? Are there systems in operation now? How will ShakeAlerts be delivered? How can a ShakeAlert be used? Are there any limitations to the ShakeAlert System? What is a “true”, “false” and “missed” alert? How long before a full system will be operating and sending messages to the general public? How much will a fully developed and operational ShakeAlert System cost? What is the role of the private sector, and will jobs be created? Why doesn’t the US have Earthquake Early Warning? When an earthquake occurs seismic waves radiate from the epicenter like waves on a pond. It is these waves we feel as earthquake shaking and cause damage to structures. The technology exists to detect moderate to large earthquakes so quickly that an alert can be sent to locations outside the area where the earthquake begins before strong shaking arrives. How do Earthquake Early Warning (EEW) systems work? There are two basic approaches to EEW: the single station (“on-site”) approach and the network approach. Single-station (“on-site”) approach: This is often called the on-site approach because a single sensor located at the site to be protected detects the arrival of the faster but weaker P-wave and warns before the arrival of the slower, more destructive S-wave. This approach is relatively simple, but it can be less accurate and more prone to false alerts compared to the network approach. It also provides less warning time than the network approach for most events. Network approach: The network approach utilizes many seismic sensors distributed over a wide area where earthquakes are likely to occur. This network of sensors sends data to a central site where ground motion signals are analyzed, earthquakes are detected and warnings are issued. The network approach may take more time than the single station approach because it requires multiple stations to detect the earthquake before alarms are sent, but this makes it less prone to errors than the on-site approach. Using a network of seismic sensors also has the advantage that the system is constantly exercised and tested as it detects small earthquakes daily. For this reason the system maintains a high level or readiness. Finally, only a distributed network of sensors is capable of characterizing large, complex earthquakes as they evolve. Thus, estimates of intensity and extent of shaking gain accuracy as more data are recorded and analyzed. Earthquake early warning can be based on data from a single station or from a network of stations, or a combination of the two. In a “single station” warning system, data does not need to be sent to a central processing site. However, using only one station to detect ground motion and provide an alert is more prone to false alarms. Accuracy and warning time are maximized when using a combination of warnings from single stations and a regional seismic network. For the optimum performance during a moderate to large earthquake, we combine on-site and regional warning approaches in the ShakeAlert System. 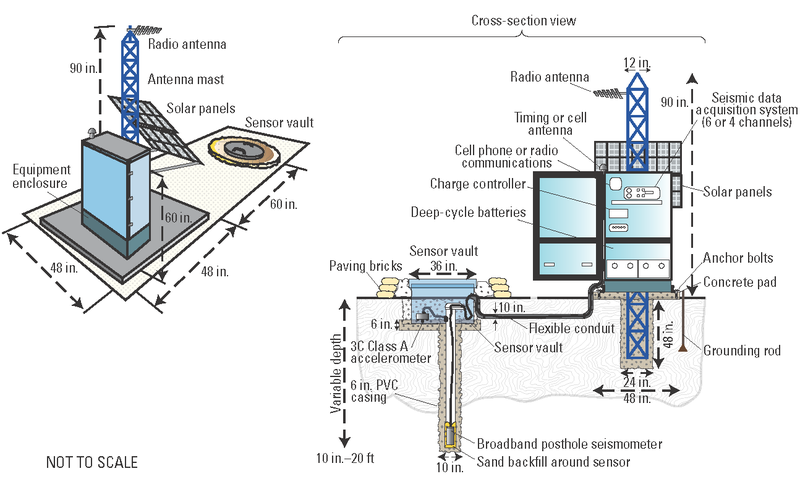 Leveraging the existing investment in earthquake monitoring has several advantages. First, it reduces the startup costs of ShakeAlert by using sensors and other infrastructure that already exists. Second, by being integrated with current earthquake monitoring the system will be supported, tested, and developed by the nation’s experts in the field. Finally, building on the existing West Coast sensor networks means that all the improvements for ShakeAlert also result in improved information for emergency response and aftershock forecasting. Contributing to ShakeAlert in the Pacific Northwest, the University of Washington and the University of Oregon cooperatively operate the Pacific Northwest Seismic Network (PNSN). 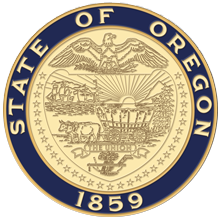 The PNSN is sponsored by the U.S. Geological Survey (USGS), the U.S. Department of Energy, the State of Washington, and the State of Oregon. Beginning in 1969 with five seismometers, the PNSN has grown to more than 300 seismograph stations distributed across the region and become the second largest seismic network in the United States. The PNSN is an organization dedicated to reducing impacts of earthquakes and volcanic eruptions in the states of Washington and Oregon by providing accurate and fast information about earthquakes and ground motions to scientists, engineers, planners, and the public. The California Integrated Seismic Network (CISN) is a collaborative effort between Caltech, UC Berkeley, USGS, the California Governor’s Office of Emergency Services (Cal OES) and the California Geological Survey (CGS) currently operates a network of hundreds of seismic sensors in California. The CISN, which is funded mainly by USGS, Cal OES, and CGS, monitors and notifies about earthquake activity in California. The CISN generates and distributes ShakeMap and other products for emergency response, post-earthquake recovery, earthquake engineering, and seismological research. Although not sufficient for a robust EEW system, the CISN network provides the backbone on which to efficiently and cost-effectively build the California component of ShakeAlert. Studies of earthquake early warning methods in Washington, Oregon, and California have shown that the warning time would range from a few seconds to tens of seconds. EEW systems are now either operational or are being implemented in several countries. México City has had a system since 1991. Japan has had a nationwide public warning system since 2007. There are also systems in Turkey (Istanbul), Romania (Bucharest), China, Italy, and Taiwan. All of these systems are tailor made for the local system of faults and thus cannot easily be adapted to the United States. In the United States, USGS is funding research into ShakeAlert in Washington, Oregon, and California with several research partners: University of Washington, University of Oregon, UC Berkeley, Caltech, and Eidgenössische Technische Hochschule (ETH), Zürich. With these partners, and by leveraging federal and state investments already made in the Advanced National Seismic System (ANSS) to monitor earthquake activity, ShakeAlert administered by the USGS is a realistic expectation of leaders and the community. By being part of an existing, active seismic network, ShakeAlert will be tested and monitored daily through existing operations. Additionally, building on the existing National System means all the infrastructure improvements for ShakeAlert will also result in improved information for emergency response and aftershock forecasting. The United States Geological Survey (USGS) will develop and operate the ShakeAlert System, and issue public notifications under collaborative authorities with FEMA, as part of the National Earthquake Hazard Reduction Program, as enacted by the Earthquake Hazards Reduction Act of 1977, 42 U.S.C. §§ 7704 SEC. 2. The USGS has the Federal responsibility to issue alerts for earthquakes, to enhance public safety, and to reduce losses through effective forecasts and warnings. USGS already issues rapid, automatic earthquake information via the Internet, email, text messages, and social media. USGS is a bureau of the Department of Interior and also issues public advisories and warning for other geologic hazards such as volcanoes and landslides. Every available technology will be used to ensure that ShakeAlerts reach as many people as possible as quickly as possible. Most currently available mass messaging technologies are too slow for timely ShakeAlert deliveries. However, many promising technologies are becoming available like broadcast text messaging, smartphone apps and recent upgrades to the national Integrated Public Alert and Warning System (IPAWS). ShakeAlert applications will open the door to many public/private partnerships as private companies develop innovative products and services to use and distribute ShakeAlerts. Users must know how to respond to ShakeAlerts for them to be effective. The USGS and its West Coast partners manage a communication, eduction, outreach program to make people aware of the ShakeAlert System, its limitations, and how to respond to ShakeAlerts. Responses are most effective when automated and pre-established so the recipients know what action to take when they get a ShakeAlert. How can ShakeAlert be used? The uses for EEW fall into two major categories: warning people to take a protective action such as Drop, Cover, and Hold On and/or triggering automatic responses in places like factories and transit systems. Medical: Halting dental operations, surgery, laser procedures, etc. 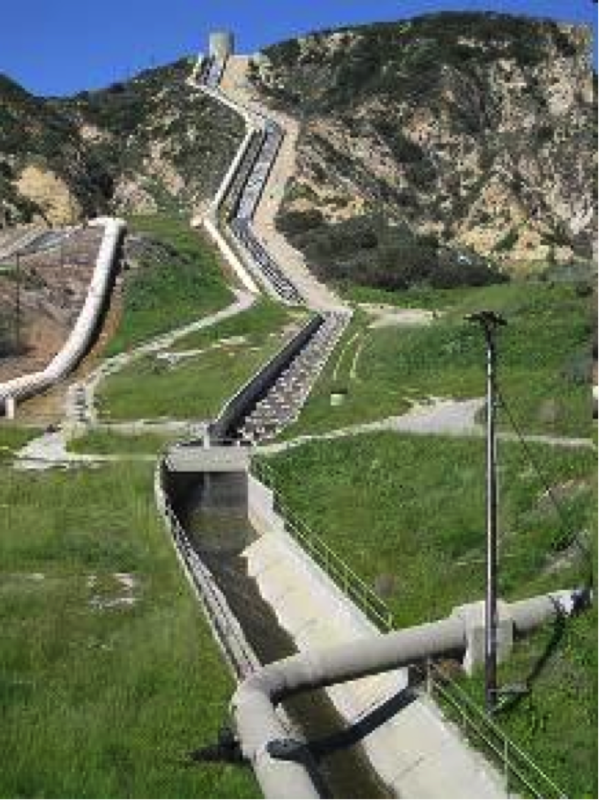 The Los Angeles Aqueduct is one of the major sources of water for Southern California. ShakeAlert could warn operators of potential strong shaking at critical facilities allowing them to initiate automated actions that would close valves or other actions to reduce impacts. No system is perfect. No significant warning will be possible right at the epicenter where the earthquake begins. It is also possible the system might send warnings for earthquakes too small to cause damage or when there is no earthquake at all. Also, the system could fail to send warnings or send them too late to be acted upon. While all these “failure modes” are possible, rigorous planning and testing should minimize them. In many situations automatic systems can use information about time, location, magnitude and certainty in the warning notification to make decisions about the appropriate action to take in a particular context. It is also important to note that large earthquakes are not instantaneous. A fault takes time to rupture and ShakeAlert can’t predict how big an earthquake will become. For example, it may take more than a minute for the San Andreas Fault to rupture during a big quake and the Cascadia Subduction Zone could take several minutes to break. This means that you may not receive an ShakeAlert as soon as an earthquake begins if it is far from you. You may only receive an alert after is grows to a point that will shake your location, thus reducing your warning time. A “true” alert is one that matches the location, time, and magnitude of an actual earthquake within certain parameters and also meets the criteria for publishing an alert. An alert is “false” when it is issued but shouldn’t have been. This can occur when the location or magnitude of an actual earthquake is in error, or when the system is fooled by ground noise or a large distant earthquake. A “missed” alert is when no ShakeAlert is issued but should have been. This can occur if the system’s estimate of the quake’s location or magnitude is in error, causing it to not satisfy the alerting criteria. Broader public alerting at the magnitude 5.0 level will begin when existing mass alerting technologies are able to deliver alerts at the speed or scale needed for effective earthquake early warning. ShakeAlert partners are working with both public and private mass alert system operators including FEMA, cellular carriers, mass notification companies, and others to provide that functionality. Finally, the public has not yet been educated about the system and how to respond to alerts w hen they are delivered. The USGS ShakeAlert Revised Technical Implementation Plan estimates the cost of completing the sensor networks is $39.4 million. Building a highly reliable data telemetry infrastructure would add $20.5 million, however, this cost could be reduced if project partners provide bandwidth on existing systems. 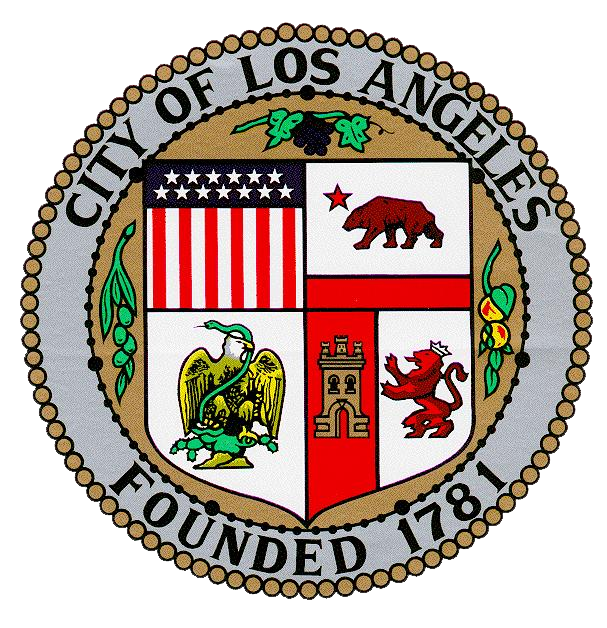 The annual operation and maintenance cost of the completed system would be $28.6 million. Operation of the highly reliable data telemetry component would add $9.8 million to this estimate. The ShakeAlert System leverages the national investment already made in earthquake monitoring by the USGS-lead Advanced National Seismic System (ANSS). In the California this is the California Integrated Seismic (CISN), a collaboration among the USGS, the California Governor’s Office of Emergency Services, the California Geological Survey, UC Berkeley, Caltech, and other partners. In the Pacific Northwest this is the Pacific Northwest Seismic Network (PNSN), a collaboration among the USGS, the University of Washington, and the University of Oregon. Development of the ShakeAlert System has been made possible by investments from several sources including the USGS, the State of California, the State of Oregon, the Gordon and Betty Moore Foundation, and the Federal Emergency Management Agency through Cal OES and the Los Angeles/Long Beach Urban Areas Security Initiative. In Japan jobs have been created in the private sector. Several advanced technology companies evaluate the needs of each ShakeAlert user and provide value-added application technology to the EEW signals from the Japanese Meteorological Agency (JMA). Such private-sector products also tailor the EEW signal for use in specific applications such as for equipment protection and safety in semi-conductor factories. We anticipate that private companies in the US will develop smart ShakeAlert-user technology to take automated actions based on ShakeAlerts generated by the USGS. Such technology may safeguard the energy grid, water systems, rail transportation, open firehouse garage doors, move elevators to the nearest floor, warn doctors treating patients, sound alarms via public address systems in schools, as well as have numerous smart industrial applications. Possible damage to pumping stations in the water system could be mitigated with ShakeAlerts. Also, people working in hazardous environments can be warned to enable them to move to safety before shaking arrives. There will be may applications for ShakeAlert that will make us all safer and speed recovery after damaging quakes. The USGS and its partners began limited alerting in 2018; however the ShakeAlert System is not yet complete. 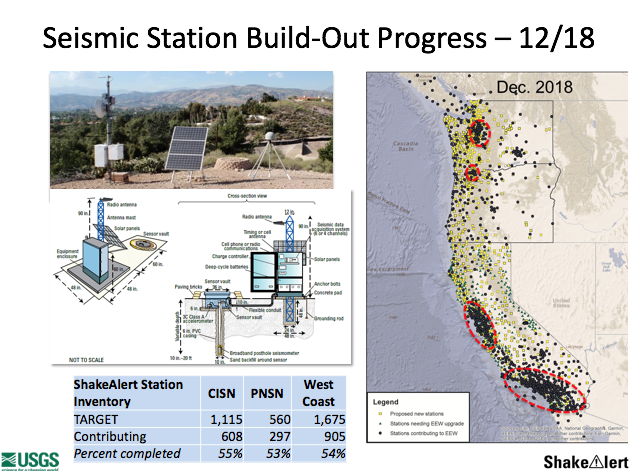 Fast, reliable earthquake detection is only possible in areas with sufficient earthquake sensor coverage but the ShakeAlert sensor network is only about 50 percent complete (as of January 2019). In addition, current technologies for mass notification via cell phones, TV, and radio must be upgraded to deliver alerts fast enough for effective alerting. Finally, a campaign must be developed and executed to educate the public about earthquake early warning alerts and how to respond to them. Perhaps most importantly, long-term funding to operate and maintain the System has not yet been secured.